Galaxy Marijuana is a very productive and fast flowering hybrid feminized strain. 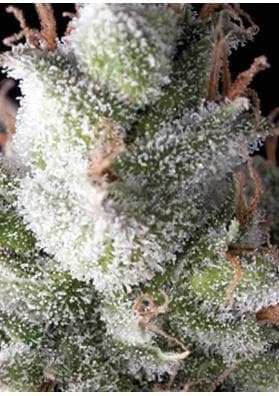 Due to its high THC content, you will travel to another galaxing with a refreshing earthy flavor. 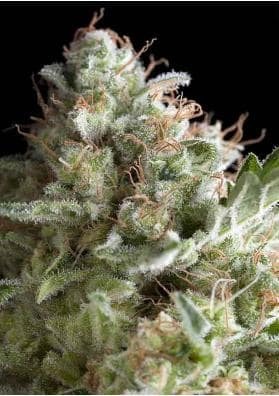 Galaxy is a hybrid feminized indica dominant (80%) Marijuana created by crossing a selected Afghani and a Northern Lights. It is high yielder plant with a fast flowering, It is usually necessary to give some support as the weight of the flowers is juts too much for the branches to deal with it! Due to its high THC content (21%), you will travel to another galaxing with a refreshing earthy flavor. In a growing room and in only 50-55 days the plants are able to reach heights ranging from 60-150cm and you will be able to collect productions of between half kilo and 600 grams per square meter. In the garden, you can collect it in September, enjoying great productions that in the worst scenario can yield around 400 grams per plant, and in the best ... 2kg per plant! Enjoy this weed that seems to come from another galaxy.